It’s been five years since Bethesda registered the Starfield trademark and the developer has only recently publicly spoken about the fact it is the name of a game that it’s working on. Besides a very brief teaser trailer, there was very little to go on. With the reveal of Fallout 76 it could lead you to think that Bethesda is making another multiplayer game. Bethesda director Todd Howard puts that to rest in the latest Noclip documentary on the making of Fallout 76: “Starfield is definitely a big single-player game,” he says. If you’re looking for something to play right now then check out the best free Steam games. It’s not much to go on so we’ll have to rampantly speculate until next E3. I suspect you play a farmer who must plough a field of stars, but that’s just me. If you want more on Starfield then, unfortunately, pickings are slim. 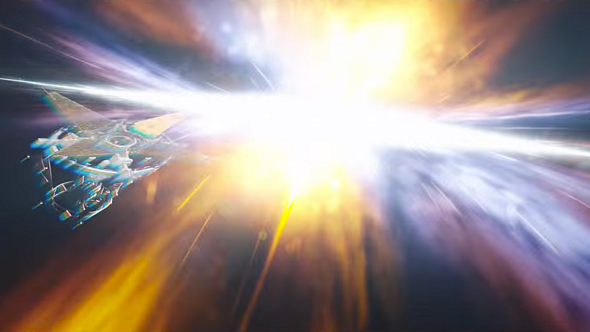 There is, however, a Starfield trailer you can now watch… over and over again. It’s not much but it’ll have to do until we get more.